The trademarks, logos and service marks ("Marks") displayed on this Site are the property of Semantix S.A. or other third parties. You are not permitted to use the Marks without the prior written consent of Semantix S.A. or such third party that may own the Marks. Semantix and the Semantix logo are trademarks of Semantix S.A..
For a current list of Semantix's Marks, as well as certain third-party Marks, please refer to the posted trademark information. Use or attempt to gain access to or use another's account, password, Service, Materials or computer systems or networks connected to any Semantix server or to the Site without authorization from Semantix, whether through hacking, password mining or any other means. Transmit unsolicited or bulk communications to any Semantix account holder or to any Semantix.com or affiliated e-mail address. Access or use the Site in any manner that could damage, disable, overburden or impair any Semantix server or the network(s) connected to any Semantix server. Violate the rights of Semantix or any third party (including rights of privacy and publicity) or abuse, defame, harass, stalk or threaten another. Use any Semantix domain name as a pseudonymous return e-mail address. Market any goods or services for any business purpose (including advertising and making offers to buy or sell goods or services), unless specifically allowed to do so by Semantix. Semantix, in its sole discretion, may (but has no obligation to) monitor or review the Materials and Services at any time. Semantix may at any time without notice and in its sole discretion: (a) terminate a Service, access to or use of any Materials or an area of the Site where Materials are posted or submitted; and (b) disclose any information related to your use of a Service or Material, or the substance of any of your posted or submitted Materials, as Semantix deems necessary to comply with applicable law, regulation, legal process or governmental request. You agree to use extra care when disclosing any personally identifiable information about yourself or your children in any Services or when you post or otherwise submit any Materials. If you are required to establish an account in connection with a particular Service or Material, you must complete the designated registration process for such Service or Material. All required registration information that you provide must be current, complete and accurate and kept up to date on a prompt, timely basis. If required, you must also choose a user name and password for such account. It is your sole responsibility to keep your account number, user name, password and other sensitive information confidential. If you become aware of any unauthorized use of your account or any other breach of security, you shall notify Semantix immediately. If any Services or Materials provide password-restricted access to your sensitive information (including customer lists and contractual terms), then by accessing or using this Site and setting up a password-restricted account for such Services or Materials, you consent to Semantix's display of such information via such Services or Materials and accept all risks of unauthorized access to such information. The Semantix Materials and User Content may be accessed and used solely for personal, informational, non-commercial and internal purposes. The Semantix Materials and User Content may not be modified or altered in any way. The Semantix Materials and User Content on the Site may not be distributed or sold, rented, leased, licensed or otherwise made available to others. You may not remove any copyright or other proprietary notices contained in the Semantix Materials and User Content. You may not copy or distribute any graphics in the Semantix Materials or User Content apart from their accompanying text. You will not quote or display Semantix Materials or User Content, or any portions thereof, out of context. Semantix reserves the right to revoke the authorization to view, download and print the Semantix Materials and User Content available via this Site at any time, and any such use shall be discontinued immediately upon notice from Semantix. Semantix Materials and User Content comprised of Software are subject to the additional provisions governing Software set forth herein. Any Semantix Materials or User Content made available only upon payment of a fee or execution of a separate agreement may only be viewed, downloaded and printed subject to your payment of such fee or execution of such separate agreement. Use of the Semantix Materials or User Content for any other purpose is expressly prohibited and may result in severe civil and criminal penalties. Violators will be prosecuted to the maximum extent possible. The rights specified above to view, download and print the Semantix Materials and User Content available on this Site are not applicable to the design, layout or look and feel of this Site. Such elements of the Site are protected by law, including trade dress, trademark, unfair competition and other laws, and may not be copied or imitated in whole or in part. No Mark, graphic, sound or image from the Site may be copied or retransmitted unless expressly permitted by Semantix. In addition, various sections of the Site may showcase the work of creative professionals. Such Materials (whether Semantix Materials or User Content) belong to their creators, may be protected by Intellectual Property Rights and are for display purposes only. Accordingly, you may not download or print these works unless there is a notice associated with the work expressly permitting such uses. You are solely and entirely responsible for all of your User Materials that you post or otherwise submit via the Site or Services. You shall assume all risks associated with the use of your User Materials including any reliance on the accuracy, completeness or usefulness of your User Materials. Semantix does not guarantee the accuracy, integrity or quality of your User Materials. You acknowledge and agree that by accessing or using the Site or Services, you may be exposed to User Materials from others that are offensive, indecent or otherwise objectionable. For all of your User Materials that you post or otherwise submit to the Site, including (a) comments to Communications Venues, (b) feedback, (c) bug reports, (d) piracy reports or (e) product suggestions, you grant Semantix and the users of this Site an unrestricted, irrevocable, non-exclusive, worldwide, royalty-free and fully paid up license under all Intellectual Property Rights to use, reproduce, publicly display, publicly perform, copy, edit, modify, translate, reformat, transmit and distribute such User Materials, with or without having your name attached to such Images, in any manner or form and for any purpose, with full rights to sublicense such rights through multiple tiers of distribution, and you also acknowledge and agree that Semantix is free to use any ideas, concepts, know-how or techniques that you provide for any purpose without any compensation to you. You acknowledge and agree that Semantix shall not be liable for any failure to store User Materials on the Site at any time. Semantix may block, restrict, disable, suspend or terminate your access to all or part of the Site, Services and Materials at any time in Semantix's sole discretion, without prior notice or liability to you. The Site, Services or Materials may include links that will take you to other sites outside of the Site ("Linked Sites"). The Linked Sites are provided by Semantix to you as a convenience and the inclusion of the links do not imply any endorsement by Semantix of any Linked Site. Semantix has no control of the Linked Sites and you therefore acknowledge and agree that Semantix is not responsible for the contents of any Linked Site, any link contained in a Linked Site or any changes or updates to a Linked Site. You further acknowledge and agree that Semantix is not responsible for any form of transmission (e.g. webcasting) received from any Linked Site. THIS SITE, SERVICES AND MATERIALS MAY INCLUDE TECHNICAL OR OTHER MISTAKES, INACCURACIES, OR TYPOGRAPHICAL ERRORS. Semantix MAY MAKE CHANGES TO THE SITE, MATERIALS AND SERVICES, INCLUDING THE PRICES AND DESCRIPTIONS OF ANY SOFTWARE OR PRODUCTS LISTED, AT ANY TIME IN ITS SOLE DISCRETION AND WITHOUT NOTICE. THE SITE, MATERIALS AND SERVICES MAY BE OUT OF DATE, AND Semantix MAKES NO COMMITMENT TO UPDATE THE SITE, MATERIALS AND SERVICES. YOU ACKNOWLEDGE AND AGREE THAT: (i) Semantix DOES NOT CONTROL, ENDORSE, OR ACCEPT RESPONSIBILITY FOR ANY MATERIALS OR SERVICES OFFERED BY THIRD PARTIES, INCLUDING THIRD-PARTY VENDORS AND THIRD PARTIES ACCESSIBLE THROUGH LINKED SITES; (ii) Semantix MAKES NO REPRESENTATIONS OR WARRANTIES WHATSOEVER ABOUT ANY SUCH THIRD PARTIES, THEIR MATERIALS OR SERVICES; (iii) ANY DEALINGS YOU MAY HAVE WITH SUCH THIRD PARTIES ARE AT YOUR OWN RISK; AND (iv) Semantix SHALL NOT BE LIABLE OR RESPONSIBLE FOR ANY MATERIALS OR SERVICES OFFERED BY THIRD PARTIES. Semantix DOES NOT CONTROL OR ENDORSE THE MATERIALS FOUND IN ANY SERVICES AND SPECIFICALLY DISCLAIMS ANY LIABILITY WITH REGARD TO THE SITE, SERVICES AND ANY ACTIONS RESULTING FROM YOUR USE OF THE SITE AND MATERIALS AND PARTICIPATION IN ANY SERVICES. MANAGERS, HOSTS, PARTICIPANTS AND OTHER THIRD PARTIES ARE NOT AUTHORIZED Semantix SPOKESPERSONS, AND THEIR VIEWS DO NOT NECESSARILY REFLECT THOSE OF Semantix. TO THE MAXIMUM EXTENT PERMITTED BY LAW, Semantix WILL HAVE NO LIABILITY RELATED TO USER MATERIALS ARISING UNDER INTELLECTUAL PROPERTY RIGHTS, LIBEL, PRIVACY, PUBLICITY, OBSCENITY OR OTHER LAWS. Semantix ALSO DISCLAIMS ALL LIABILITY WITH RESPECT TO THE MISUSE, LOSS, MODIFICATION OR UNAVAILABILITY OF ANY USER MATERIALS. This Site can be accessed from countries around the world and may contain references to Semantix products, services and programs that are not available in your country. These references do not imply that Semantix intends to announce such products, services or programs in your country. The Site is controlled, operated and administered by Semantix S.A. from its offices within Greece. Semantix makes no representation that the Site, the Services or Materials are appropriate or available for use at other locations outside Greece, and access to the Site from territories where the Site, the Services or Materials are illegal is prohibited. If you access the Site from a location outside Greece, you are responsible for compliance with all local laws. See the section on export control laws below for further information. Any unsolicited ideas, including ideas for advertising campaigns, promotions, products, technologies, processes, materials, marketing plans or product names, that are sent to Semantix for consideration via this Site shall not be considered or accepted by Semantix, nor deemed confidential or proprietary information (including any original creative artwork, samples, demos or other works presented in connection therewith). Semantix may run advertisements and promotions from third parties via the Site, Services or Materials in any manner or mode and to any extent. Your communications, activities, relationships and business dealings with any third parties advertising or promoting via the Site, Services or Materials, including payment and delivery of related goods or services, and any other terms, conditions, warranties or representations associated with such dealings, shall be solely matters between you and such third parties. You acknowledge and agree that Semantix is not responsible or liable for any loss or damage of any kind incurred as the result of any such dealings or as the result of the presence of such non-Semantix advertisers on the Site or in connection with the Services or Materials. This Site may now, or hereafter from time to time, contain certain statements or information with respect to: (i) the projection of Semantix's revenues, operating margin, income, tax rate, earnings per share, capital expenditures, dividends, share count, capital structure, or other financial items; (ii) the plans, objectives, or projections of Semantix for future operations, including those relating to the products or services of Semantix; (iii) Semantix's future economic performance; (iv) assumptions underlying or relating to any of the foregoing statements or information; and (v) any other projections, estimates, or forward-looking statements. All such statements and information are forward-looking statements. Such forward-looking statements are based upon, or will be based upon, Semantix's judgment with respect to future events and are subject to a number of uncertainties and risks that could cause actual results or circumstances to differ materially from those expressed in the forward-looking statements. Semantix wishes to caution you that such forward-looking statements are only predictions and that actual events or results may differ materially. For further details and information about factors relating to risks and uncertainties concerning the foregoing or Semantix in general, please refer to Semantix's SEC filings. Semantix does not undertake an obligation to update forward-looking statements. 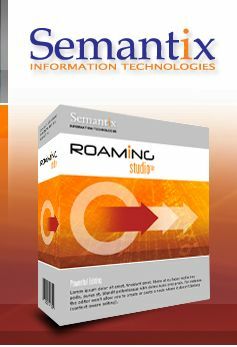 This Site (excluding linked sites) is controlled by Semantix S.A. from its offices within Greece. By accessing this Site, you agree that all matters relating to your access to, or use of, this Site shall be governed by the statutes and laws of the European Union, without regard to the conflicts of laws principles thereof. The parties specifically disclaim the U.N. Convention on Contracts for the International Sale of Goods. You also agree and hereby submit to the exclusive personal jurisdiction and venue of the Greek courts with respect to such matters.